Were you looking for a good excuse to go shopping this weekend? Sure, there are tons of Labor Day end-of-season sales going on right now, but if an extra 40 percent off marked down items isn’t enough to justify whipping out your credit card, Mickey Boardman‘s got something up his sleeves that might make you change your mind. This Saturday and Sunday, the Paper magazine editor is hosting his Celebrity Sidewalk Sale at NYC vintage thrifting mecca Screaming Mimi’s. Boardman’s gathered oodles of vintage and new clothes from labels like Christian Dior, Jason Wu, Luxottica, Alexis Bittar, Lemlem and more. You’ll find clothes and accessories for men and women, as well as beauty products. Oh, and the best part? All of the proceeds will go to Citta, a charity that raises funds to help developing communities around the world. 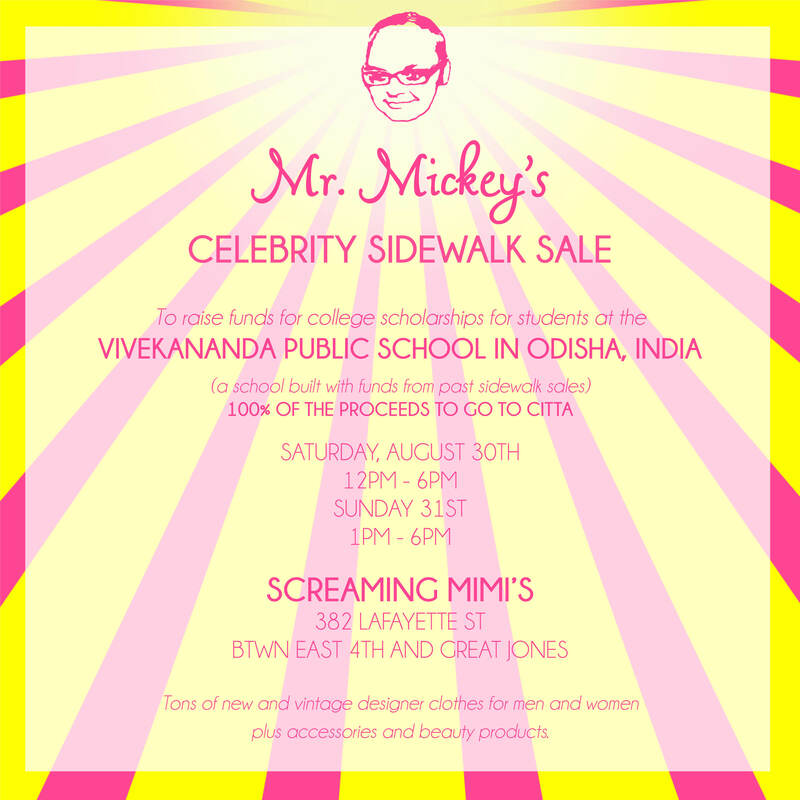 The money will go to help supply extra cash for college scholarships for the children at the Vivekananda Public School in Odisha, India. The sale’s going down on Saturday, August 30 from 12:00 p.m. to 6:00 p.m. and on Sunday, August 31 from 1:00 p.m. to 6:00 p.m. Get your credit cards ready and be prepared to get in on some serious shopping!